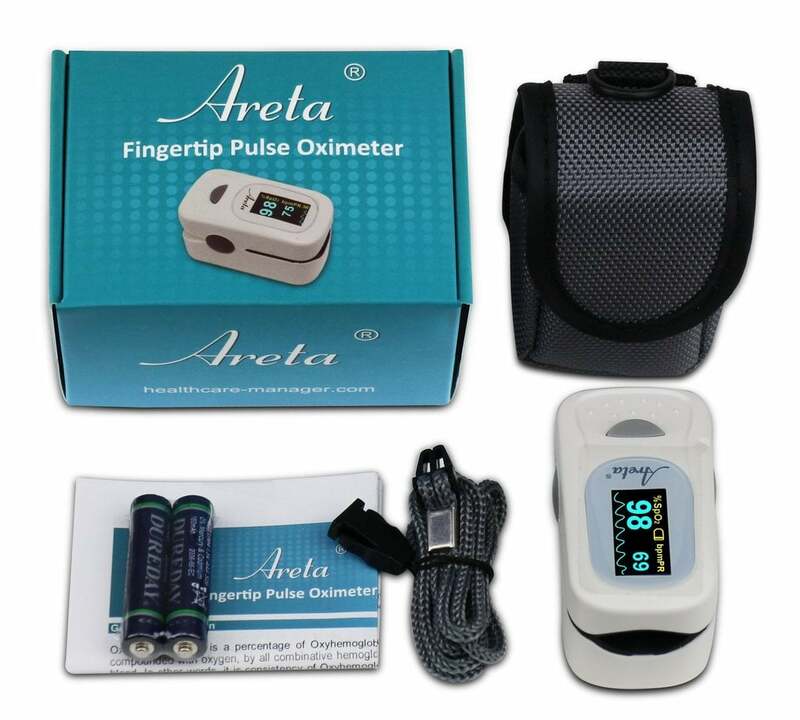 This Fingertip Pulse Oximeter is the perfect choice for monitoring and measuring on-the-spot SpO2 and pulse rates. With digital blood oxygen and pulse sensor meter, this device provides you a fast and accurate reading of your real time oxygen saturation of arterial hemoglobin and pulse rate. The strength and regularity of your pulse is indicated by the bar graph and waveform on the display. The universal finger clip allows the oximeter to fit a range of finger sizes, from children through adults. It turns off automatically when a finger is removed. The Fingertip Pulse Oximeter is approved by the FDA and can be used without a medical prescription.